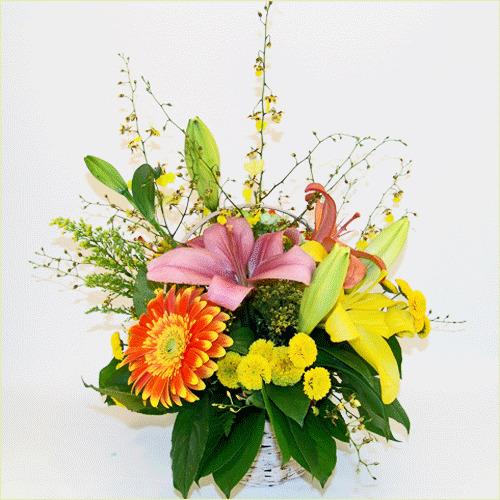 For a fun evening event, offer your guests lilies, orchids, botton dasies, and orange gerberas! Memorable and mood-appropriate for a festive affair! Deluxe basket includes 13 stems.